Ancient coin at left. Head of Poseidon. Parthenon at centre. Printer G&D (Giesecke & Devrient, Berlin). 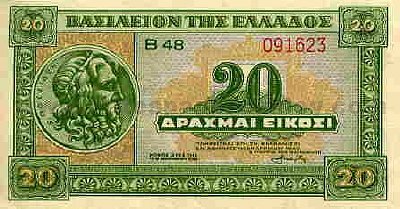 Greek Paper Money cat. ref: CA114. 3.8 x 8cm.